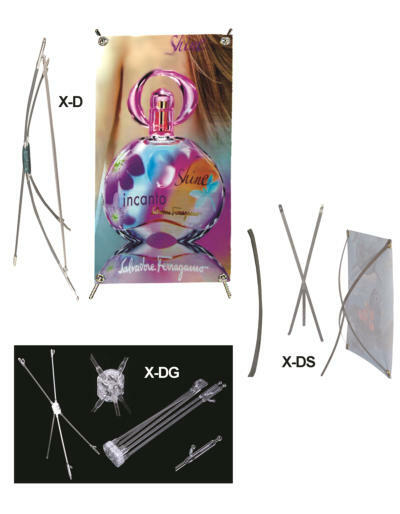 Desktop X-Type Banner Stand; X-D, X-DG, X-DS 3 types available: X-D, X-DG & X-DS X-D: X-Banner Tabletop One piece mini X. Gray arms & aqua hub. So compact, it fits in your pocket. Commonly used for 11”x17” prints. Case qty: 200. X-DG: X-Banner Tabletop Clear One piece mini X. All clear plastic. Commonly used for 11”x17” prints. Case qty: 200. X-DS: X Desktop Metal Desktop, Stainless Steel. 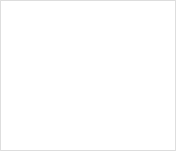 Commonly used for 11”x17”. Comes in a plastic bag. Case qty: 200.